There are several reasons why a computer might not be working because of the malware, the graphics card, peripheral components, or even hard disk failure. We might know how to use computers, but computer repair is a whole other story. However, having some idea of how computer repair works for various issues might be able to help you before you can get assistance from a professional computer technician. How Do You Fix a Computer That Won’t Turn On? If you have pressed the power button only to find that your computer won’t turn on is devastating. If you use your computer for work or other tasks, it can be overwhelming when the computer will simply not turn on. Before you try to fix the problem with the computer, but sure that the computer is plugged in–it might not turn on because the computer wasn’t plugged into the power source. If that’s not the case and you know for sure that power is being supplied from the power source, try removing the battery. When the computer turns on without the battery, that means that the battery is the issue. If you take the battery out of the computer and it still won’t turn on then you will want to go to a computer technician for help. They will be able to thoroughly inspect the computer and see what type of computer repair is needs. When it comes to a slow computer, it can be frustrating, but it will be a lot more simple than repairing a computer that won’t turn on. There are several things that you can do to attempt to repair a slow computer. You can uninstall computer programs you don’t use, reduce the number of programs that start when you turn on the computer, defragment your computer’s disk, vacuum dust from the computer, invest in more RAM for your computer, or remove files that you no longer need. If none of these things fix the issue, you will probably need to take it in for computer repair. If computer repair does not fix the problem, then a computer replacement might be needed. How Do You Fix a Computer That Has a Virus? If your hardrive is constantly working, your computer is slow, or you keep getting pop-up messages on your computer, you more than likely have a computer virus. It sounds scary having a computer virus, as it can damage the system, steal personal information, and corrupt files, but there are ways to get rid of it. What you will want to do is put your computer in safe mode, then delete any temporary files you might have. From there you need to use a virus scanner, which will be able to remove the virus from your computer; you should use a real-time scanner and on-demand scanner in order to make sure the virus is gone. When a virus scanner doesn’t work, take it in for computer repair. In order to see what is going on with our computers, we need a computer screen that works. They are very fragile components of our computer, so keeping them in good shape is incredibly important. However, just like other areas of our computer, our computer screens can develop issues that will require computer repair. Flickering screen, vertical lines, and cracks in the screen are pretty common, but some of them can be repaired. If you have a flickering screen, then you can go into your computer’s display settings and try to play with the monitor settings. It might fix it, but if it doesn’t, it’s better to take it into a professional. A cracked or shattered screen is another issue that can either be repaired by a technician or completely replaced. There are a couple of signs to tell whether or not you need computer repair, with some of them being strange noises coming from the computer, black or blue computer screen, a hot computer, a slow computer, or the computer always crashes. If these sound familiar you will need to get repairs for you computer. On occasion, repairs might not be able to fix your computer, in which case you will need a computer replacement. These are tell-tale signs that you need a computer replacement. Repairing your computer will cost more than replacing it. You’ve already updated the operating system. You are unable to download the latest software. The computer is too slow. It takes a long time to start up and shut down. 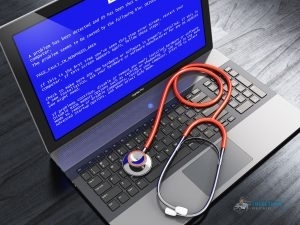 If you take your computer in to a computer repair technician, you might be wondering, “How are computer problems diagnosed?” technicians will perform diagnostic tests to determine what the issue is and then repair it. If you need home computer services in , NY, please call TotalTech Repair. Getting your computer repaired by someone who doesn’t have the skills or knowledge to provide computer repair can make your computer worse. You wouldn’t get Long Island, NY residential roofing that isn’t insured or licensed, so why settle for mediocre computer repairs? Call us at (631) 517-0021 to set up an appointment. Posted in Uncategorized on March 8, 2019 at 10:40 pm by Total Tech Repair. What Do I Need for Home Theater? 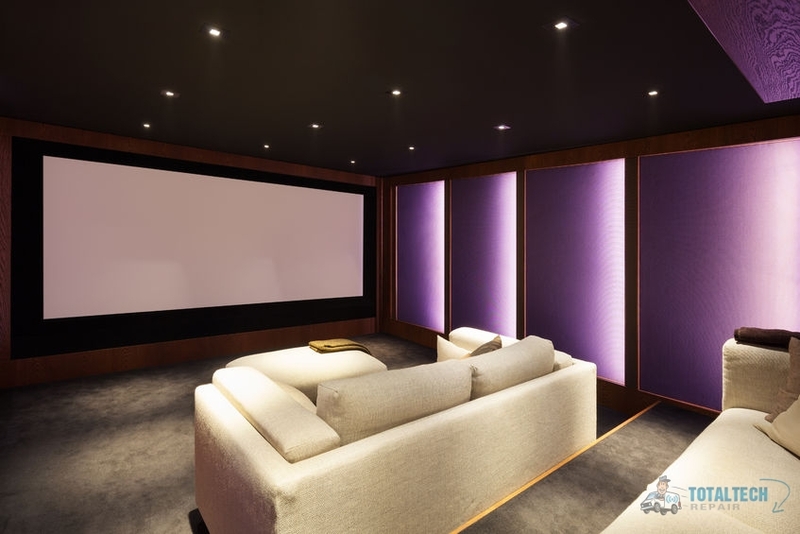 Home Theater Systems Can Transform a Room in Your Home Into Your Own Personal Movie Theater. There are several systems and components that go into a home theater system to make it feel like the real thing, and in this blog post we will cover what the home theater basics are, if you are better off getting surround sound, and how you can set up your very own home theater system in your house. So if you have questions such as, “Which speakers are best for home theater?” or “What TV screen is the best?” it will more than likely be covered in this post. 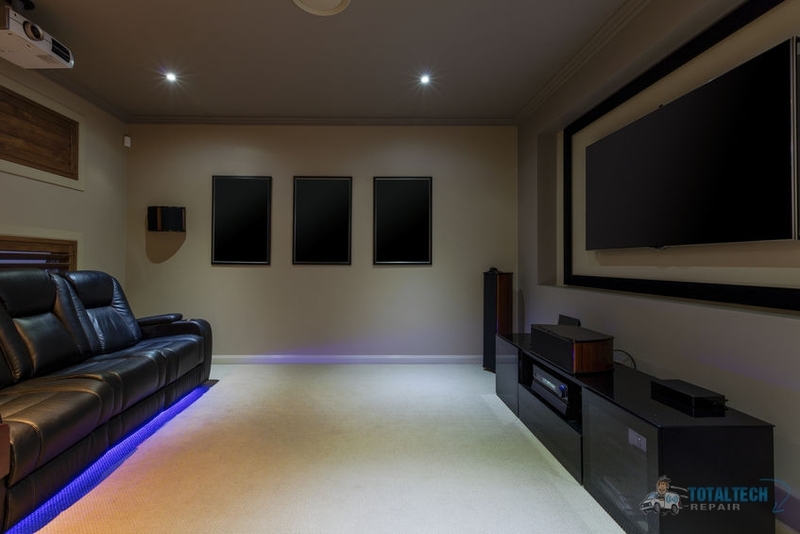 When setting up your own personal home theater system, there are a couple of systems and equipment that you will need in order to truly turn a regular room into a theater room. Here is a list of things that you will need. A DVD player, Cable or Satellite, Internet streaming, or a device that you can play movies on. While all of these things are important in order to have a great home theater, it’s important to know what these things do and what kind of home theater systems are the best. Below are some of the questions that are asked the most about home theater systems, and we are here to answer them so you can make educated decisions on what you will need for your home theater. What is the Best Wireless Home Theater System? 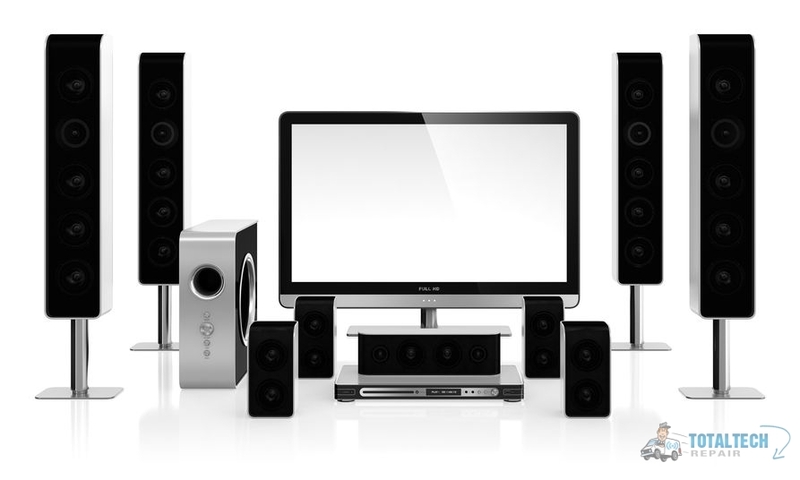 There Are Many Components That Make a Home Theater System Great. The best wireless home theater system is all going to depend on what kind of system you are looking for. There are a couple of types of systems that you can choose from, which are a prepackaged theater system and a system that is made up of different pieces of equipment that are totally customizable. Then there are systems where you have to remodel the room in order to get the feel of a real theater in the comfort of your home. However, the first two choices are more practical and budget-friendly, so we will stick with those. Some of the best home theater systems are manufactured by Bose, but ASIYUN, AXESS, beFree, and Boytone have good systems, as well. Again, it’s all going to depend on if you want a prepackaged or customizable home theater system. What Does a Home Theater Receiver Do? The receiver for your home theater system is one of the most important components that you will need. While you need a screen to see and speakers to hear, those things are not going to work without a receiver. 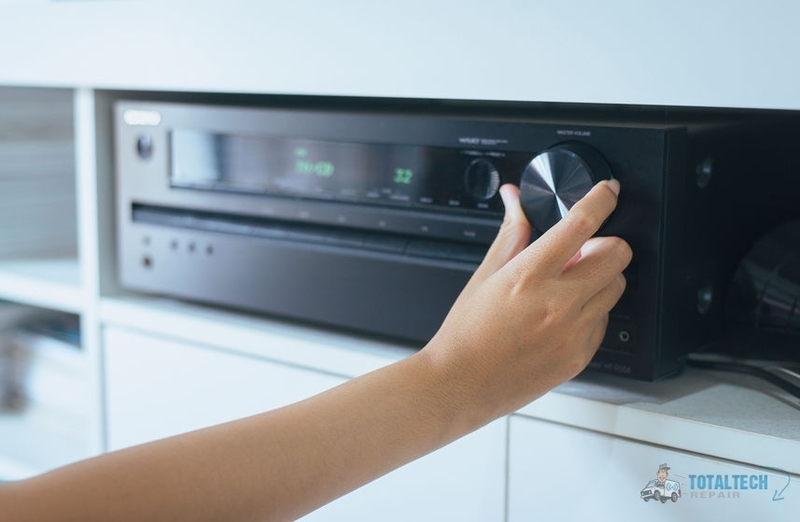 This is because a receiver receives a signal from either your cable or DVD player and then transmits those signals to your sound system and TV. Without the receiver, you won’t be able to hear what is going on or see a picture up on your TV or screen. How Do I Connect My Home Theater To My TV? When this question is asked, they are typically talking about how to connect the speakers to the TV in order to hear what is going on. Depending on if you have a home theater system or are just using your TV and speakers, you will either use an HDMI cable, audio cable, digital coaxial cable, or optical audio cable. If you are using HDMI, you will need to connect the HDMI cable to the receiver and the TV. You will also need to turn the HDMI setting on your TV. If you are using an audio cable, digital coaxial cable, or optical audio cable, you will connect one end to the TV and the other end to your speakers or stereo. Then you will have to turn the setting on your TV so that the TV, stereo, or speakers work together to produce sound. Find Out If a Soundbar or Surround Sound is Right for Your Home Theater. Typically when someone asks this question, they are really talking about whether you need surround sound or soundbars in your home theater. Surround sound is a system that uses more than two speakers whereas a soundbar is a bar that has many speakers next to one another. Just like the types of home theater systems for your home, surround sound and soundbars are all going to depend on what you are looking for in your home theater. When it comes to surround sound, you are going to get incredible sound, with a lot of bass, just like a regular theater. With a soundbar, it can kind of mimic surround sound, while being affordable and easy to install. If you are really wanting the movie theater experience in your home, you will have to go with surround sound. It is more expensive than a soundbar, but its a good investment for your home theater. A lot of people have concerns with home theater system repair problems, but that is when you call a professional to help you. Once you have figured out what type of home theater system you want for your home theater, you will be ready to set up your home theater system. There are a couple of steps that need to be taken in order to set up your theater system correctly and without any issues. Buy the proper equipment like a TV, projector, screen, cables, receiver, etc. Decide where your TV or screen is going to go. Set up your surround sound or soundbar. Connect your TV or projector to your receiver. Connect your speakers to your receiver. If you have any problems with your home theater system, you can always get help from a professional technician. Just like you wouldn’t handle general contracting without knowing what to do, if you are having issues setting up your theater system, you can contact TotalTech Repair! We are professionals with home theater systems in Long Island, NY and are able to help you with yours. Give us a call at (631) 517-0021 to get started today! Posted in Uncategorized on January 4, 2019 at 8:34 pm by Total Tech Repair. Can Network Setup Help Connection And Wifi Speed? Make Sure You Have a Good Network For Your Small Business. There are many different ways to increase your wifi speed and one of those ways is to do a home wireless network setup. Once you have a network, you can either connect to it using a cable or you can choose to use the wifi router. Both of these will do similar things, but in a very different way. Most people know what wifi is, but for the sake of the article we will briefly go over it. Wifi is the internet, without having to connect to cords or cables. You can connect your device using radio wireless connections that transmit from the network, to the device, making you able to use it wherever you are in range of the network. A wired connection is where you are able to take several devices and connect to one network using a cable and usually, but not always, a router. If you want to have internet in your home and set up wifi, you will need a home network setup service done. Next, we will go over how to set up a home network, and ask, what is your home network setup? So you want to set up a home network. Most homes run off of a network and use wifi to be able to do things like stream tv shows and play on the phone without using up all your phones data. A home network setup can be done by yourself, but if you are not familiar with all of the lingo and connection devices, it can be much easier to just have a professional do it for you. There are many benefits to doing a home network setup, like having a home business or many people in your home that are required to use the internet on a daily basis. Whether you choose a wired network or wireless, they both will allow you to do things like print, share files, and send emails. A wired connection is usually faster that wireless because the internet is going straight through the cable system. With wireless, it can also be easier for hackers or things like that, to get in and get into your network. If you are sitting at a desk all day and just need the service for your computer, than a wired connection is the best route to go. The most practical and widely used today is a wifi connection. If you are looking to establish a server for your computer, a linux home network setup can be sued and is typically free. There are a lot of different ways that your network can become slowed down. One of the biggest ways is dependant on where you are. If your network is slow and you are in your work office, it is likely because there are so many people on it at once and they may all be doing something that requires a lot of power or attention. This also means that your internet is not fast enough for the amount of people and things that you have running. One thing that you can do to help this is to get a faster internet. Another way is to have everyone plugged into wired connections instead of wifi connections. You could also have a virus of some sort and need to get that taken care of right away. How Do I Speed Up My Network? You Will Need a Good Home Network If You Work From Home. There is almost nothing more frustrating than slow internet when you have something that needs to be done, especially if you work from home or go to school online. Making sure that your network is running like it should is a great first step to not getting the obnoxious spinning loading circle in your face constantly. Here are some great ways to speed up your internet and get you back up and running in no time at all. Signal Booster Installation – Boosting your signal in your home will help those dead spots that never get service even though you are smack in the middle of your kitchen (we’ve all been in that house). When you get this booster, it will pull a signal right to you so that you can speed up the internet and not have any troubles with your phone line as well. Set Up Your LAN – How do I set up a LAN at home? This is not a problem and can be done by a professional so that you don’t have to worry about making any changes or causing any problems to your homes network. Plug-In – If you have been struggling on your wifi connection, try a wired home network setup. This will allow the internet to come straight into your device with no problem and it will help you make it much faster. Router – Make sure that if you have a home business and need your internet to stay strong, that you invest in a good router. This is so important and will make a huge difference. Home network setup for wireless routers, wired connection, and any other network systems you may need, are better done by a professional. They will be able to take all of the stress off your plate and get you up and running in no time at all. If you need a professional, TotalTech Repair is here for you to help you in any way we can. Just call (631) 517-0021 and we can set up your network in , NY, right away. General understanding of the machines, terminology, and overall network setup. Our technicians know all the latest trends and always keep up with the growing technology so that you get the best. Peace of mind is worth everything and that is exactly what you get with professional installation. Knowing it is done right and that you are backed by a company that cares makes all the difference in the world. When something goes wrong you will have someone to call because they are the ones who installed it. Posted in Uncategorized on November 1, 2018 at 8:52 pm by Total Tech Repair. It Can Be Frustrating When Your Computer Is In Need Of Repair. When your car needs repair, you look for a respected nearby auto repair shop to handle them for you. Why would you do any less with your computer? When your computer is in need of help, that’s where our computer technicians come in. We handle all of your computer repair and service needs. Sometimes an old desktop can wear down with age, becoming less and less effective. Our technicians work hard to get your PC or laptop back to its best. We even offer set up services. For many people, when they need service it is because their computer has obtained a virus which has corrupted the data on the system. When this happens, we are happy to help! Why Is Virus Protection Necessary? Does it have a good malware detection rate? Will it put a lot of strain on your older PC? Will it scan my emails for potentially sent malware? While these are just of the things you should consider, there are still many options and factors that you should look into. Really do your research on any software you put on your pc before installing. Have questions about what virus protection you should be looking for? We are always available to assist you with virus software! Give us a call today at __PHONE__. Posted in Uncategorized on September 21, 2018 at 9:41 pm by Total Tech Repair. Carefully Examine the Source of Your Emails and Any Suspicious Looking Attachments. Not all network security threats are targeted towards your office. In fact, your home is at risk of a number of major network hazards. Luckily, many of these are documented and there is a wealth of information on how to avoid them. Today, we’ll talk about three top network security threats and learn how to protect your home. What are the Common Threats to Network Security? Phishing – an aggressor tries to convince you to download a file or an attachment via email or another similar platform. Once downloaded, the perpetrator can install malware and potentially turn your computer into a controllable “bot”. Phishing can also be carried out over the phone by scammers asking for information. 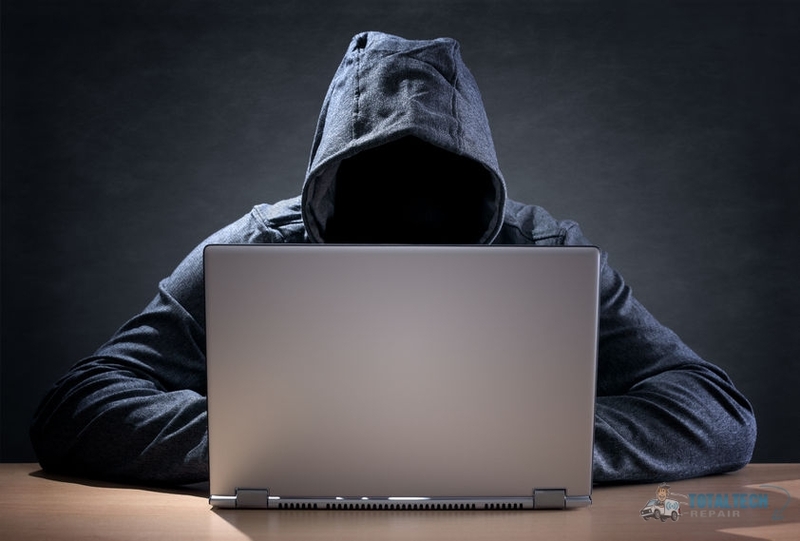 Spoofing – a perpetrator disguises themselves as a legitimate website. There they convince victims to download malware files or give away information. Trojan Horse – embedded in (what is or appears to be) legitimate software, Trojan horses open a foothold for hackers to gain access to your information and steal data. How Do I Avoid These Threats? Every security system depends on smart user habits; your home is no exception. When it comes to protecting yourself against malware, make sure your network is guarded with a capable firewall product. Make sure to purchase your security through reputable sites, however, as fake sites have tricked many homeowners into buying fake network security (loaded with malware). These often provide seemingly normal programs that have a Trojan horse embedded in the file. Defeating malware post-infection can be incredibly difficult and time consuming, as many have discovered with the recent VPNFilter malware crisis. Would Grammy really send me an attachment with this unusual program name? Does my service provider usually ask for this sort of personal information via email? Is the tone of the email trying to scare me? Is this email worth the risk? Spoofing can be harder to detect, but careful examination is usually enough to spot differences between the fake site and the real deal. Bookmark your favorite websites. If you’re Googling a website, make sure the URL looks authentic before you visit the site. If you feel like you’re in over your head, that’s okay. Many homeowners feel that way when it comes to facing these network security threats. We’d love to help you protect your network; our TotalTech Repair team offers professional Huntington Station, NY security setup for your personal or home-office computer. If you’d like to learn about how we protect local homeowners, give us a call at __PHONE__. Posted in Uncategorized on August 17, 2018 at 8:16 pm by Total Tech Repair. A lot of newer houses come built with an extra room for a home theater system should homeowners wish to install one. As home theaters continue to rise in popularity, so much so that they are becoming pre-designed in homes, here are some benefits of why they are so beloved. No more crying kids or people on their cell phones in the movie theater disturbing you! With your own home theater system, you control the setting. Pause the movie for a bathroom break and never have a miss a scene like you would in public theaters. Lay on all the chairs because you can- you bought them! A Home Theater System Is A Great Way to Save Money On Movie Theater Fees! A home theater system also makes for a great game room. Hook up your XBox or Playstation and feel like you’re really in the game with the giant screen and dark room encompassing you! Imagine it with virtual reality games! Should you ever choose to sell your home, having a fully installed home theater is a huge bonus that will attract homebuyers. Who doesn’t want their own movie theater? Instead of having to pay $12 per ticket for a night out at the movies, and not even adding in the cost of food, you could quickly be paying $30 for a 2 hour movie. With a home theater, you could rent a recently released movie for $5, microwave some popcorn, get a can of soda, and watch in the comfort of your own home all for less than $15. Home theaters are great for hosting get-togethers, parties, or family nights. If you have kids and they have friends over, this is a great hangout space. If you are interested in getting a home theater system installed in your Huntington Station, NY home, call TotalTech Repair at (631) 517-0021 today. Posted in Uncategorized on July 16, 2018 at 3:43 pm by Total Tech Repair. Although computers have been around for a long time, that doesn’t mean they are the easiest things to fix. If you haven’t fixed a computer before and your computer needs repairs, it might be your best bet to hire a professional for home computer repair service. There are many advantages to this, with examples listed below. Home Computer Repair Service Has Many Benefits. Hypothetically, if you were to cause more damage to your computer trying to fix it, you may have to replace parts or the whole computer. A computer technician will know exactly what is wrong with the computer and be able to repair it without you having to spend an arm and a leg on a new computer. 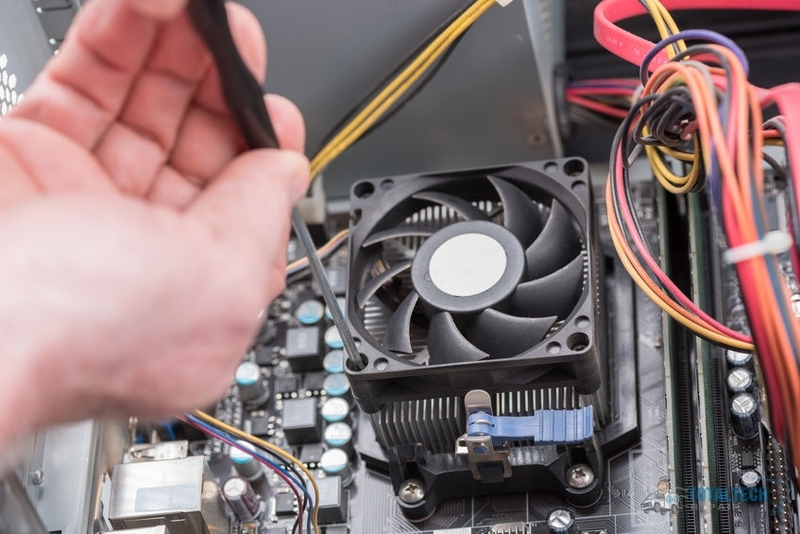 Because a computer technician has probably repaired a computer hundreds of times, they are able to diagnose and repair the computer quickly. If you do it yourself, it may take longer, hence why hiring a professional is essential. Trying to fix a computer on your own when you don’t have the training or experience can make you worry if you are causing more damage to the computer. Knowing that you have a professional working on it will give you more peace of mind. When you are taking on home computer repair service on your own, there is the possibility that you could lose important data. From documents to pictures, a computer technician can retrieve them if something were to go wrong. If you want computer repair in Long Island, NY, call TotalTech Repair now at (631) 517-0021. Posted in Uncategorized on June 12, 2018 at 6:34 pm by Total Tech Repair. Follow These Safety Tips to Reduce the Chance of Your Computer Contracting Malware. Are you worried that your computer might become infected with malware? There are many types of harmful tools that hackers use to interact with your computer. Follow these safety guidelines, and you’ll greatly reduce your chances of contracting computer malware. One of the most common ways of inserting spyware or ransomware onto a computer system is creating an baited application that looks like a popular legitimate tool. When downloading tools, games, or programs for your laptop or home computer, make sure you check for certifications. Avoid strange looking file names and be very hesitant to download programs from sites you aren’t familiar with. A capable protection software tool will usually point out suspicious websites and programs, but you still need to watch what you download. When you’re looking through dozens of emails everyday, it’s easy for important details to escape our notice. That’s what hacking professionals count on. A clever hacker can create a harmless looking email asking for credentials or financial information. They might have a file for you to download. Be suspicious of unexpected emails, especially those that ask for your information. These “phishing” attacks are stealing millions of dollars worth of data every year, and leave your computer exposed to additional malware. There are tech companies entirely dedicated to researching and exposing the latest malware techniques across the globe. Many of these tech groups are happy to share news on how businesses and private citizens can avoid these malware attacks. You can arm yourself against malware by reading up on the latest security trends at least once a year. If you suspect your laptop or home system has been exposed to computer malware, or if you’d simply like to learn more about computer security, you can talk with one of our specialists at TotalTech Repair. Give us a call at __PHONE__. Posted in Uncategorized on May 4, 2018 at 4:38 pm by Total Tech Repair. A Hacker Can Steal Personal Information Through the Infiltration of Your Network. Most of us rely heavily on our home internet network. Our computers, tablets, smartphones, and a host of other devices all operate thanks to the signal emitted by your home router. As technology has improved, routers have acquired the ability to broadcast wider and wider signals. While this has the obvious benefit of improved connectivity around your home, it also allows more people to see your network. Since you cannot trust the intentions of everyone in your home network’s radius, you should entrust your home network security to the team at TotalTech Repair. A couple of reasons provide the rationale for improved network security in your home. Generally speaking, you want to protect your network from infiltration by those who will abuse its connection. Personal Security: Someone who uses your network without permission represents a serious breach of personal security. An intruder can steal your personal information, and also use your IP address. This becomes highly problematic, as a hacker could use your network to download illegal materials and commit other crimes, all while associated with your IP. Network Performance: You pay your internet provider each month for a certain amount of bandwidth. This bandwidth provides for all your online activities, from download to streams on your television. If this bandwidth becomes exceeded, you will experience less performance and, perhaps, the inability to enjoy certain functions. Unapproved users drain your bandwidth with their own activity, and take advantage of the service that’s rightfully yours alone. At TotalTech Repair, we can provide for total security of your network. We will make sure that you are password protected, and create a password that’s virtually impossible to guess or hack. We can also hide your network name to prevent its appearance to unauthorized users, and change any default administration passwords on your router. To request our services or learn more about home network security in , NY, give us a call today at __PHONE__. Posted in Uncategorized on April 3, 2018 at 4:27 pm by Total Tech Repair. Do you have a computer that you use frequently at home for school, business, or fun? If you have any computer that connects to the internet, there is going to be the chance for viruses and other problems to present themselves. Our residential computer services are designed to repair damaged computers, as well as protect them from additional damages in the future. Today we will go over the basics you need to know about our service. Do You Need Help With A Home Computer? If you have a computer at home that has slowed down, or that you feel is no longer secure, our team is here to help you out. We are able to safely remove any viruses or malware from the system, as well as troubleshoot for setup issues. Everything we do is designed to help you computer run more smoothly. If any physical components of the computer are broken, we can also assist you with that, and replace broken screens, hard drives and more. If you recently bought a new computer, and you need help setting it up, be sure to give us a call! We can walk you through the setup process, help you install your preferred OS, and an antivirus service. If needed, we can also show you how to use the new machine, and how to connect to compatible devices in your home. To learn more, or to get started, give our team of experts a call today at (631) 517-0021! Posted in Uncategorized on February 28, 2018 at 3:55 pm by Total Tech Repair.